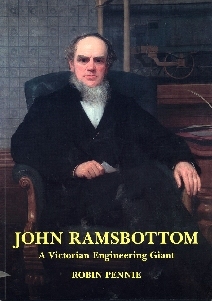 Ramsbottom was a hugely influential figure in the history of both the LNWR and LYR. He was the man who laid the foundations of the standardisation, self sufficiency and cost control for which Crewe Works became renowned. Later in his career, as a consultant and then a director of the L&Y, he was the driving force in the selection, planning and building of Horwich Works on a green field site, producing a state of the art facility acknowledged for a quarter of a century as the most modern in the country. He also recruited his brilliant former Crewe pupil, John Aspinall, as its Chief Mechanical Engineer. Ramsbottom was also a prolific inventor being responsible for the split piston ring, water troughs and the well known safety valve amongst many others. This book is painstakingly researched from primary sources and written in an eminently readable style.